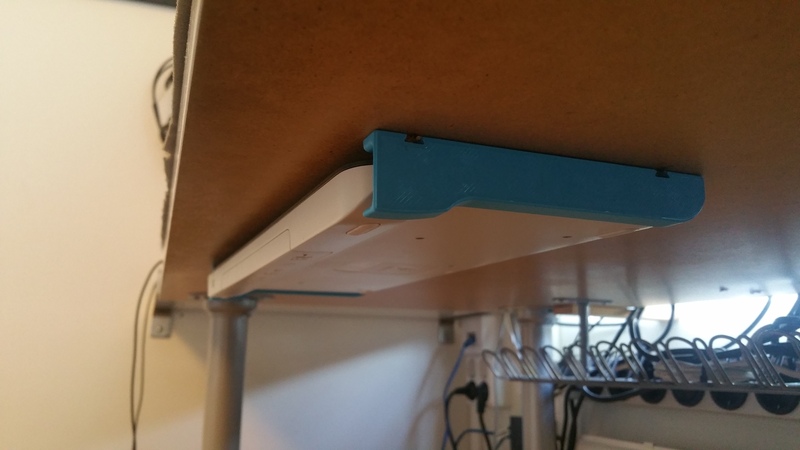 A pair of holders to mount a Logitech K400 wireless keyboard under a shelf or a table. You need to print two pieces, but first you should mirror one of them. solid design, worked well to print and fits perfect!